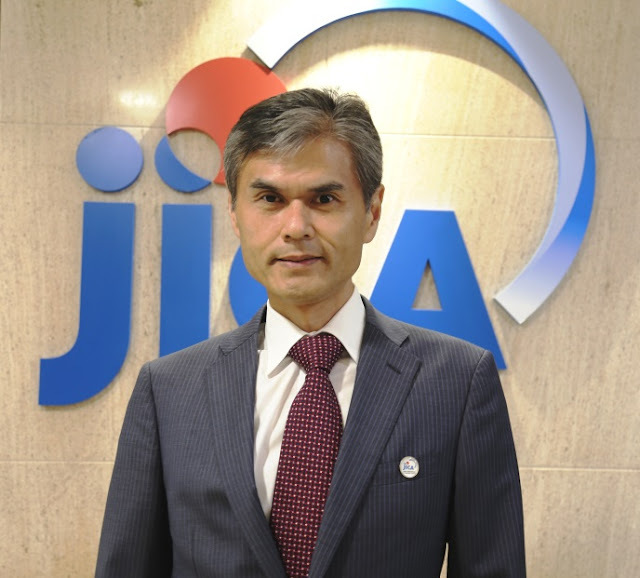 New Delhi, July 18, 2018: The Japan International Cooperation Agency (JICA) announced appointment of Mr. Katsuo Matsumoto as the new Chief Representative of JICA India Office on June 1, 2018. Mr. Matsumoto is the successor of Mr. Takema Sakamoto who completed his 3 years of tenure with JICA India on May 31, 2018. Previous to this, Mr. Matsumoto was closely engaged in the work related to the South Asian region while being the Deputy Director General of South Asian Department (SAD) at the JICA Headquarters, Tokyo. He has rich experience of working for some of the largest Official Development Assistance (ODA) loan projects in the South Asian region. Through his frequent visits to India, Mr. Matsumoto acquired immense familiarity and interest in working with India as well as understanding of developmental needs of the country. JICA is Japanese governmental agency to channelize the country’s ODA, extending concessional loans, technical cooperation and grant aid in an integrated manner to facilitate socio-economic development of emerging countries. India is the largest partner of ODA from JICA and has been receiving support towards the enhancement of transport infrastructure, water and sanitation facilities, energy availability, agricultural productivity and forest resource management, among others. JICA has committed over 398.4 billion Japanese yen (approx. Rs. 25,000 crore) towards ODA loans in the FY 2017-18, which when added to the total ODA commitment since 1958, makes an impressive amount of over 5,200 billion Japanese yen (approx. Rs. 330,000 crore). ODA loans are significantly low-interest and long-term funds suitable for large-scale infrastructure development. Through its Technical Cooperation, JICA has been facilitating participation in training courses in Japan and dispatching of Japanese experts to India to share know-how and advanced technology. Through its Grant Aid, JICA has supported in various fields such as healthcare facility, educational institution development and infrastructure advancement. A recent example in JICA’s Grant project is Out Patient Department (OPD) of the Institute of Child Health and Hospital for Children (ICH) in Chennai. ICH is a public tertiary-care hospital that provides services without charge and caters to the children from Tamil Nadu, Karnataka and Andhra Pradesh.